I want to totally remove (not train or anything, really remove or disable) the spam filtering from Thunderbird. How could I do that ? I've seen very old similar questions without answers, so I'm asking again in case there's a solution in a recent version of Thunderbird. Of course the obvious solution (disabling adaptive junk mail controls for the local folder and the account) doesn't work. That folder is also where messages marked by Gmail with the spam tag are shown. 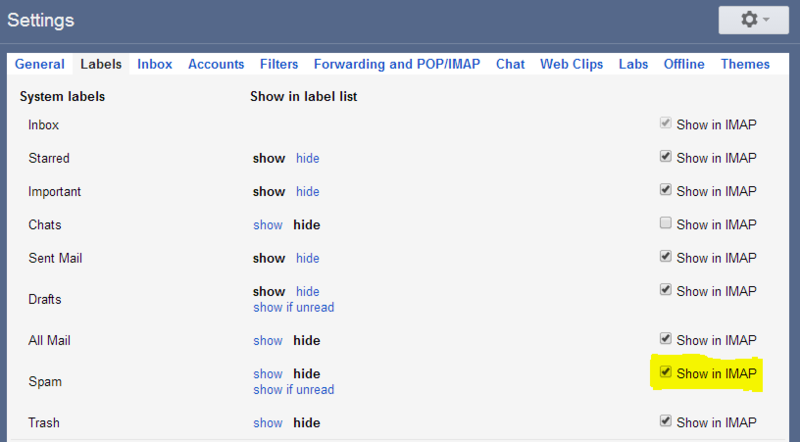 If your using IMAP to access the messages you can turn off the visibility of the spam tag/folder. The setting is the the Gmail web interface. Not the answer you're looking for? Browse other questions tagged thunderbird or ask your own question. 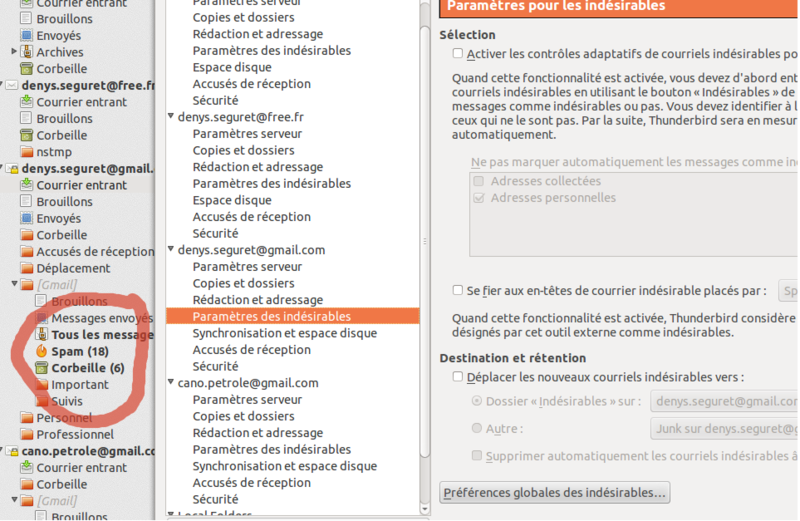 Can I set Thunderbird to move all spam/junk mail to my inbox instead? How to delete mail from server after download with IMAP using Thunderbird? How does Thunderbird “decide” what is junk?